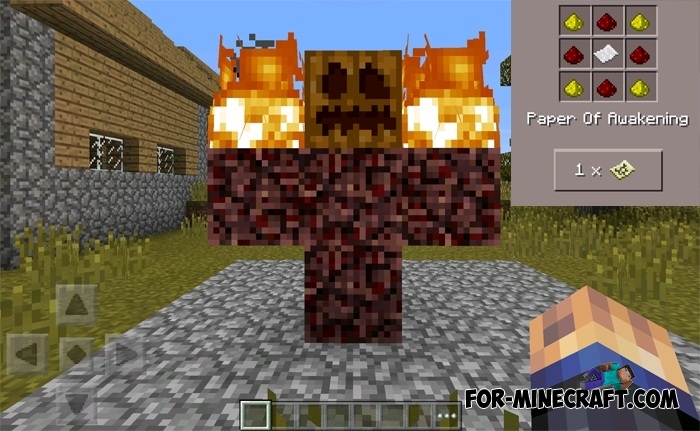 This mod adds 12 different golems in Minecraft PE. If zombies, skeletons and other creatures attack you, then golems will protect you by killing enemies. How to make a golem? For a start, build the same structure as in the screenshot below. Tap on the pumpkin and golem is spawn. SPACE mod for MCPE 0.10.5The mod adds a rocket with which you can fly into space! But that's not all, the mod also adds new items to the game and the boss - Lunar Golem. como eu faso o download do mod.